Simon is a former baseball, basketball and rugby player who holds a Bachelor of Sport Leadership and Diploma in Sport Management from Camosun College. He is a Wheelchair Basketball Learning Facilitator and Coach Evaluator, and has additional experience with Softball BC implementing their Learn to Play program, teaching basic sport and physical literacy skills to kids aged 5-9. He strongly believes in empowering athletes in practice, so that they can make critical decision individually and as a unit on the court without constant coaching input. In the year to come, Simon will be a part of the Mission Staff at the upcoming 2017 Canada Summer Games. Blake is a McGill Law Graduate and currently a Competition Development Certified Coach who works with athletes in the Train to Train, Train to Compete, and Train to Win competition streams. Tanya Magee has been involved in synchronized swimming since 1992, as both an athlete and a coach within the province of British Columbia. 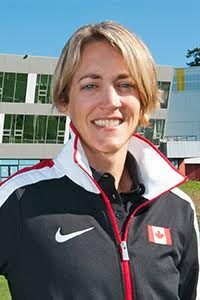 She has helped coach athletes onto the Canadian National Team who have competed at international competitions. In 2013, Tanya coached her 13-15 team to the finals at the National Championships which had not been done in B.C. since 2005. She has coached with the B.C. Aquasonics since 2002 with a brief hiatus while she trained at the Centre of Excellence in Montreal. While living in Montreal, Tanya achieved her coaching Level 3 status (current Competition Development Trained) and coached at Dollard Synchro. Tanya encourages her athletes to be independent and involved in their training. Her programs develop skills that help her athletes when they decide to make the transition into other facets of life. In 2007, Tanya became a fully certified NCCP Level 3 Coach. Upon her return to B.C., Tanya was selected as the Apprentice Coach for the 2008 Canadian National ‘B’ Team where she was able to work with the top athletes in Canada as they prepared for the Swiss Open. In 2010, she was named the assistant coach to Team B.C. She took that team to the 2010 U.S. Open in Dallas, Texas and to the Canada Winter Games in 2011. In 2014, Tanya completed her Bachelor’s Degree in Physical Education and Coaching. During her studies, she was the recipient of the Bob Bearpark Coaching Award of Distinction as a second, third and fourth year student. She was selected as valedictorian for her graduating class; however, she was unable to attend her graduation ceremony because she was coaching her team at the National Championships! Dean is competent in working with coaches, athletes, and support staff in new and demanding environments without compromising standards. He is an approachable coach/director that works tirelessly to achieve high levels of performance from his coach’s, athletes, and support staff. He manages and motivates personnel on a daily basis with an adoptable approach utilizing excellent interpersonal skills and setting achievable goals. He is the coach of several High Performance (HP) programs, focusing on skill assessments, skill development, and develop new training programs with support staff to improve players’ fitness, skills and recovery. He collaborates with integrated support teams to achieve optimal sports performance, and develops yearly training plans for age grade rugby academies.